This panel of academia-based presenters seeks to address how game mechanics interact with issues of social justice, from the perspective of both critical analysis and game design. All five presenters are interested in how the structural aspects of games, which are often treated in formalist ways without emphasis on cultural studies critique, can nevertheless offer deeply politicized moments that influence and comment on issues of difference in society. Cards Against Humanity is a multiplayer “party game” in which players use a hand of phrase cards to compete to produce the funniest, raunchiest, even most offensive response to a prompt card. Most recently, a transgender teen made headlines by posting a picture of them burning the card “passable transvestites” to Tumblr captioned “Death to Transphobia,” which earned an apology from Cards creator Max Tempkin. This presentation will examine Cards Against Humanity’s central mechanic–the playing and production of titillation and fun derived from racist, sexist, and phobic logics–and challenge the neoliberal defense that it is purposefully politically incorrect, ironic, satire, or freedom of expression. 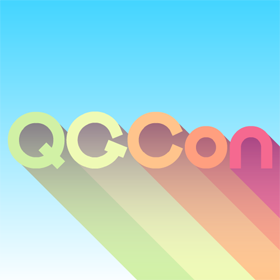 This entry was posted in Conferences, Gaming, Queer and tagged Cards Against Humanity, QGCon, Queerness and Games Conference 2014, UC Berkeley. Bookmark the permalink.